This entry was posted on February 4, 2019 by Amberley Publishing. 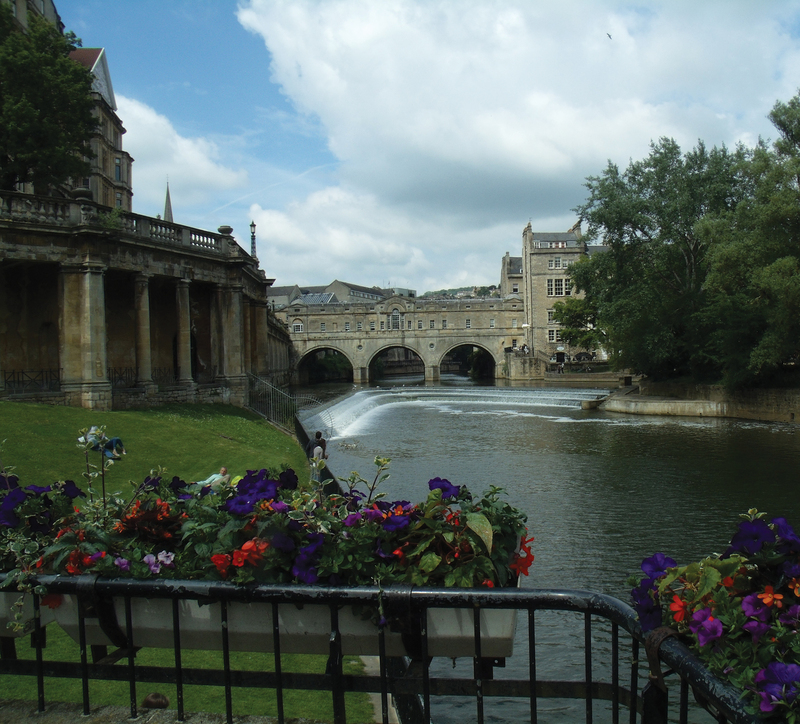 I first came to Bath in June of 1966 with my architectural students from the Southampton of College of Art to study first-hand the beauty of this City when, unlike today, all museums were entry free. At midday we had packed lunches on the lawns of Victoria Park in front of John Wood the Younger’s iconic Royal Crescent. At this time the Royal Charter of 1966 was granted for the Bath University of Technology; and work had just finished on the first teaching block, part of what was to become the University of Bath, built on 106 acres of land at Claverton Down. The first degree ceremonies took place in the Bath Assembly Rooms. The ‘A-Z of Bath’ is not a Gazetteer but an overview of interesting places, events and people who have contributed to its rich history. This book therefore is written by an outsider looking in and is a personal perspective seen against a background of history, with subjects in alphabetical order, although the chronology of events is set down in the introduction. The name of Jane Austen is inextricably linked with the area following the posthumous publication of her novel ‘Northanger Abbey’ in 1818, a year after her death; which gave a mirror image of the ‘Polite Society’ of Georgian Bath. Ralph Allen, a onetime postmaster of Bath, owned and developed quarries at Combe Down producing the famous honey coloured Bath Stone and granted stone ‘gratis’ for the construction of the Bath Mineral Water Hospital, designed by John Wood the Elder. Abbey Church Yard is the epicentre of historic Bath whereas the name suggests a medieval Bath Abbey. 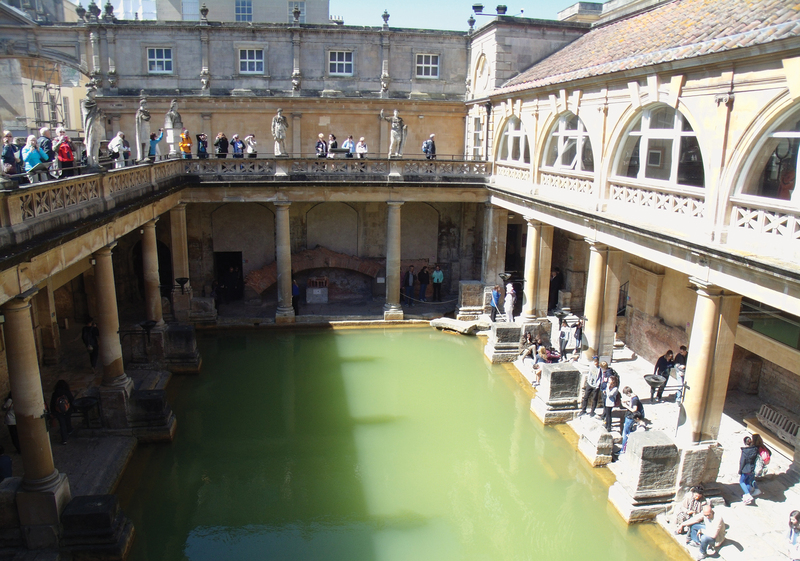 The Roman Baths stand nearby from where the alleged healing ‘magical waters’ emerge. The legendary King Bladud had found that warm springs emerging here had cured him of leprosy and a small statue of him is seen on the walls of the King’s Bath as viewed from the Pump Room. Thomas Baldwin rose from humble beginnings to hold the post of City Architect in Bath and was responsible for much of the Georgian architecture. Together with John Wood the Elder and his son John Wood the Younger, they would change the face of Bath forever. 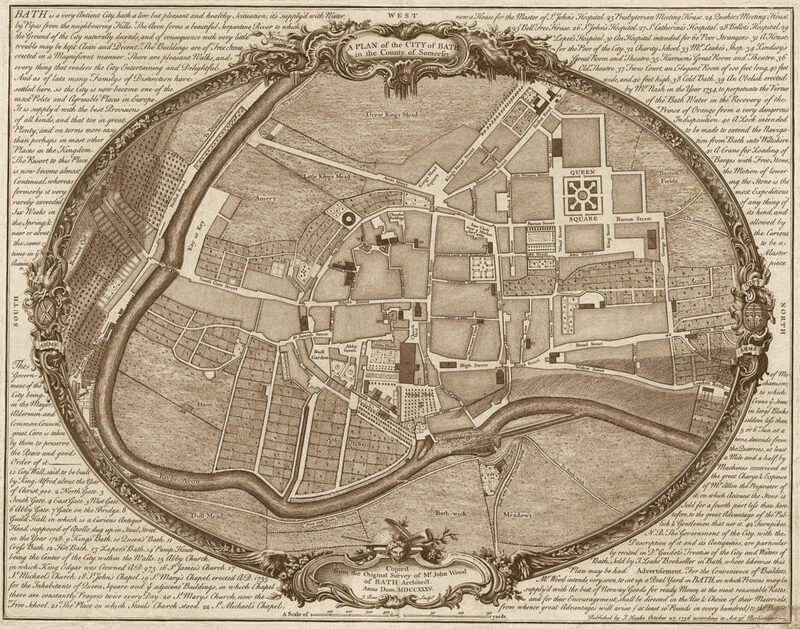 The Royal Circus was designed by John Wood the Elder, (and carried out by his son) and he was particularly famous for producing his ‘Map of Bath’ setting out plans for the redevelopment. Both members of the Wood family were not popular with the establishment and had endless opposition to their ground-breaking proposals and ideas. In summary, the Woods developed a scheme of joining five storey terrace houses, in such a way as to achieve an overall palatial effect, which otherwise would not have been individually affordable. The coming of the Great Western Railway, from Bristol and onward to London, designed by the brilliant engineer Isambard Kingdom Brunel opened opportunities for ordinary people to travel elsewhere in this country and beyond, and was evidence of the influence of the ‘Industrial Revolution’ of the 18th and 19th centuries. It is recorded that Brunel personally surveyed the route of the railway from Bristol to Bath, travelling by boat on the River Avon accompanied by his solicitor, such was his attention to detail; matched by his confidence when he placed a wager of £1000 that he would be able to travel from Bristol to London in two hours on the new railway. The Countess of Huntingdon’s Chapel, in the iconic Paragon, were both designed by Thomas Warr Attwood (who was tragically killed later in a building site accident). The Chapel broke the mould of Georgian design and was presented in the neo gothic style for a Methodist Congregation. According to the listing description it was designed ‘to protect residents and visitors from the evils of Bath’s society’. Lansdown Crescent, another famous housing scheme, was made famous by its one-time resident the infamous William Beckford. He purchased both numbers 19 and 20 (part of a 20 house development) and in addition a further house in the next road which he interconnected with a bridge. He also built a tower in his garden nearby called Beckford’s Tower, as a retreat and treasury for his immensely valuable art collection, rescued from the forced sale of Fonthill, his former residence, described by Pevsner as ‘the most prodigious romantic folly in England’. The name ‘Richard Beau Nash’ epitomises the Georgian Polite Society. As Master of Ceremonies in the Assembly Rooms, he formulated a set of rules as a prerequisite of entry into the social elite and administered by an interview in the Pump Room of the Roman Baths. The Pulteney Bridge, probably the most famous building in Bath including a parade of shops on both sides, which interconnects central Bath with Bathwick on the other side of the River Avon. It was here that immensely rich Pulteney Family tried unsuccessfully to build a new town, which began and never came to fruition. A group of financiers called the ‘Pulteney Association’ did however purchase land, in NY State, USA after the American War of Independence, where a new town called ‘Bath’ was built. The medieval Vertue Brothers named Robert and William conceived and made the intricate fan vaulting to the Chancel of the present Abbey, comprising interlocking inverted cones, the crowning feature of today’s Parish Church. Without doubt these two men represent the pinnacle of design and craftsmanship in stone of the entire middle ages and have never been surpassed in absolute excellence. 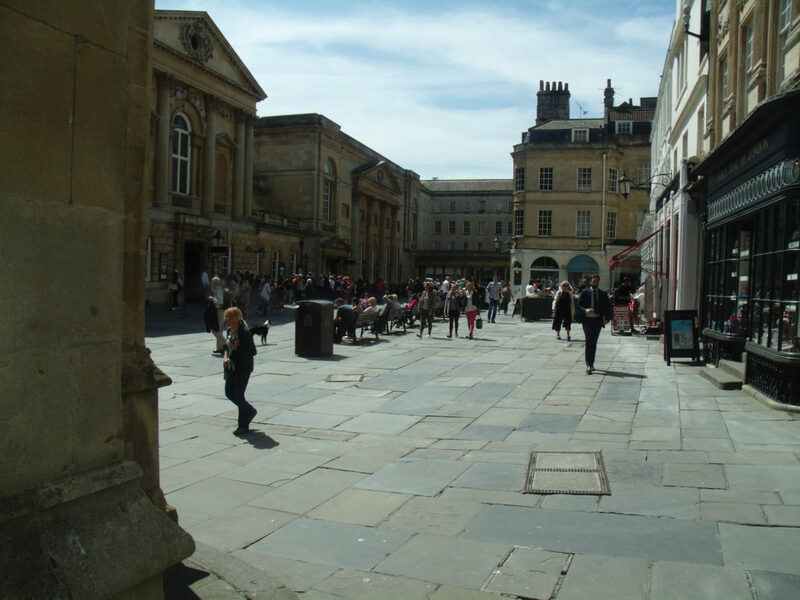 Richard I granted Charter No1 to the merchants and tradesmen of Bath giving the right to trade unimpeded, which was a turning point in the towns history, when trade became formalised and the Guildhall recognised as an instrument of local government. The economies of both Bath and its Abbey flourished afterwards in particular with the Wool Trade, immortalised by Chaucer’s Wife of Bath Tale in the’ Canterbury Tales’. Today Bath Abbey is undergoing significant changes under its ‘Footprint Project’ and we must wait and see the outcome. 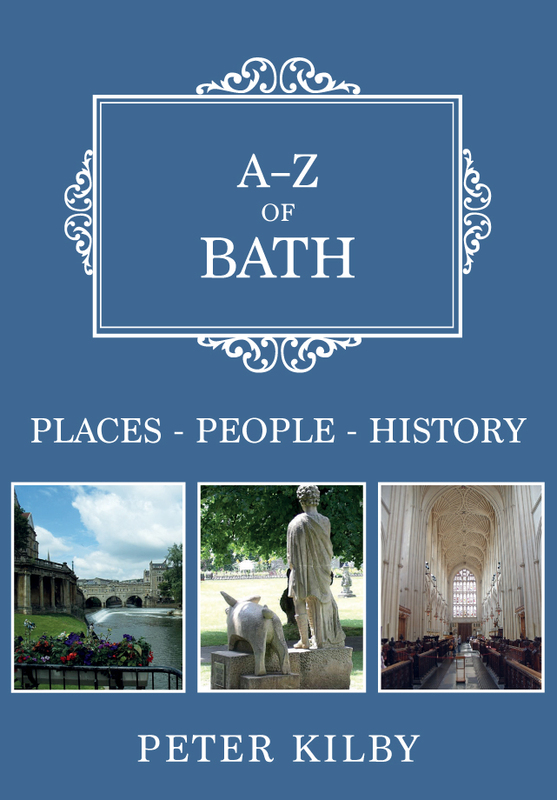 Peter Kilby's new book A-Z of Bath is available for purchase now.